Aloe Vera and Its Amazing Advantages For Your Hair Health – Aloe vera, originating from Arabian Peninsula, is most recogzined of its advantages in keeping the hair healthy. Considering of the numerous advantages of aloe vera, it’s no surprising that, it is used many in the beauty industry. 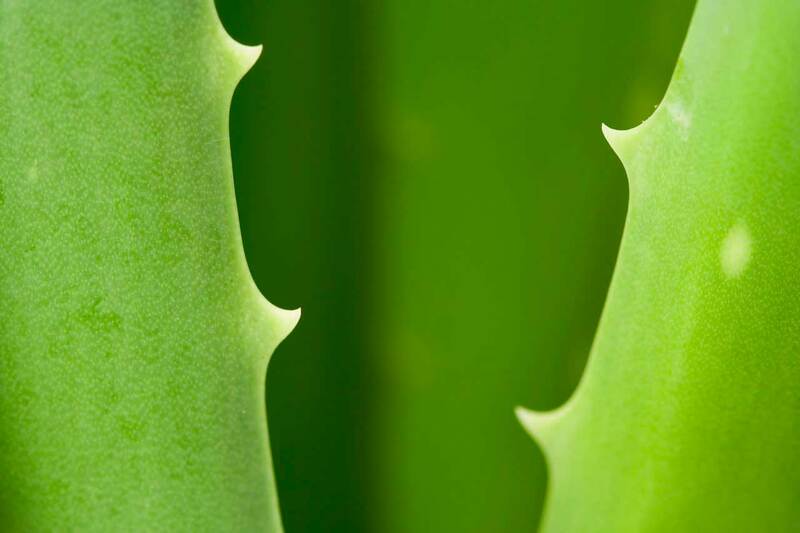 Amongst the many flora, aloe vera becomes a widely sought after plant because of its promising benefits which is able to to preserve the beauty of skin and the health of human hair. Enriched with various ingredients such as vitamin C, amino acids, zinc, minerals, proteins to germanium enzymes, the beneficial aloe vera has great potential in repairing hair damage to maintain hair quality. Well, want to know more about the benefits of this tropical plant for our hair? Let's see more in here. Exposure to pollution and dirt on the hair, will generally cause some problems such as hair loss to dry hair. Not to mention the use of chemical hair color products that make not a few people complain about their hair damage. Well, to relieve hair damage problem, aloe vera is able to function as a natural conditioner that optimally moisturize each strand of hair. This benefit you can get by diligently eating aloe vera juice or take a few drops of gel to be applied directly on the scalp and hair. The result is the dry hair will also become smoother, softer, and more manageable. In addition to damaging one’s appearance, dandruff is very disturbing because it causes itching of the scalp. If this is what you experience, aloe vera can help relieve such annoying problem due to of its acid content which is able to eradicate dandruff on the scalp. How to use, apply aloe vera gel on the scalp evenly. After that, leave it for 30 minutes, then rinse the hair thoroughly. The skin and hair health experts agree that the average hair growth of each person is 1 cm per month. But if you still lack confidence with thin hair, the advantageous aloe vera proved to be effective in fertilizing hair faster. Even not only on the hair of the head, you can also take advantage of aloe vera on eyebrows or eyelashes if you want to fertilize it. Before shampooing, add a spoon of olive oil to the aloe vera gel, mix it flat and apply on the surface of the scalp and hair. Finally, rinse the hair thoroughly after shampooing. Black hair color can turn into redness due to exposure to sunlight or chemical contamination. To make the hair beauty shine again, you can use aloe vera as a hair mask. How to use, take 1 stick of aloe vera, cut, peel the skin of it and take the aloe vera’s meat/gel. Then apply it all over the hair and scalp. Wrap with a warm towel, do it before shampooing. The hot sun can make hair dry and damaged. Well, aloe vera is able to keep the hair moist because of the content of collagen and high cooling properties. While the vitamins containing in aloe vera come effectively repair your broken hair strands. For maximum results, apply aloe vera gel on the surface of the scalp and the hair evenly then massage briefly before rinsing the hair with water. Aloe vera contains vitamins A, C, and E that contribute to cell turnover, which results in more glowing hair. Vitamin B-12 and folic acid are also contained in aloe vera gel. Both components work perfectly in preventing hair loss. If you have problems with oily hair condition, there is no harm in trying aloe vera as a solution. The gel containing in it works perfectly well as an astrigent that can control the excess oil on the scalp. If interested, try to add a few drops of aloe vera’s gel in the shampoo you use, and rinse the hair thoroughly afterwards. For optimal results do the treatment regularly. Dermatitis or skin diseases with rashes and yellowish white scales, usually appearing on the surface of oily or swollen skin. Not only in the face, many people also experience the problem on the scalp that end up in hair loss to baldness. In this case, the aloe vera’s contents are useful to smooth the blood circulation so that the oxygen and the nutrients are well channeled to the hair follicles. The pH balance returns, irritation and itching can be resolved. How to use, apply aloe vera’s gel several times a day on the surface of the scalp. To get the maximum result and to further accelerate healing, you can drink some grams of aloe vera juice. Overcoming various digestive diseases such as constipation, diarrhea etc.